Pichon Longueville Lalande's 2017 grand vin is a beauty in the making. 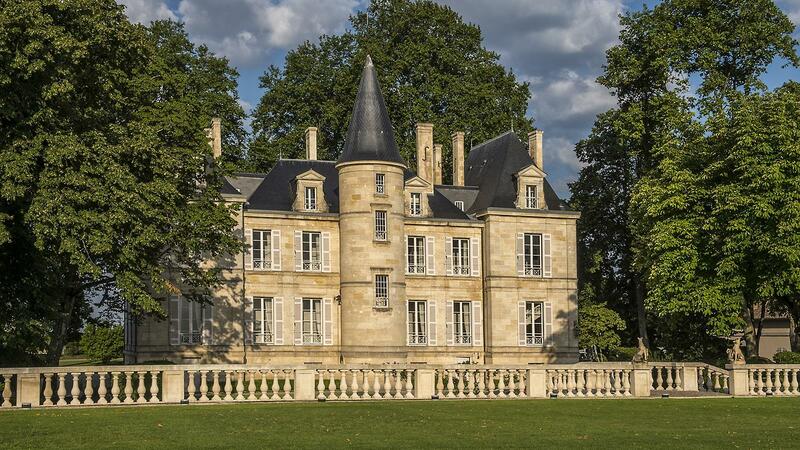 Nicolas Glumineau has been working hard to dial in a new and more clarified style at Château Pichon Longueville Lalande since he arrived at this second-growth in 2012. Rather than waffling between wines that are Pauillac and St.-Julien in style (the estate sits in Pauillac, on the border with St.-Julien), Glumineau has aimed for classic Pauillacs, with dark fruit, an iron spine and graphite-edged structure meant to age. In 2014, I tasted an enlightening vertical of Lalande back to the classic 1959 vintage with him. With the 2017 vintage he seems to have hit his stride. "We lost about 7 to 8 percent overall on the three estates, from the frost, so we were lucky," says Glumineau, who also oversees the Roederer-owned estates of Château de Pez and Haut-Beauséjour in neighboring St.-Estèphe. "But then the season was really beautiful. Dry and very, very early. All the great vintages are not always early, but all the early vintages are very good. That's because the Cabernet gets a chance to really ripen, particularly the tannins. But then early September brought rain, more in St.-Estèphe than Pauillac. It was enough in Pauillac to help finish the cycle, but it was more than we needed in St.-Estèphe." St.-Estèphe got [4.7 inches] of rain in September, versus just [3 inches] for Pauillac, according to Glumineau. "It's not '16 for Pauillac, no way," he says, clearly demarcating the lofty reputation of the previous vintage. "We are between '14 and '15 in Pauillac, probably closer to '15." The 2017 Haut-Beauséjour shows the effects of the September rain. Located in the lowest part of the AOC, with more clay, it got the most water right at harvesttime. It's fresh, open and pretty, with red and black currant fruit laced with a hint of bay leaf. But it's not tightly wound, with a bit of ease through the finish. The 2017 de Pez is a step up, though, with more substance to the plum and cassis notes backed by a more prevalent chalky spine. There's a light lilac hint through the finish, with a lingering echo of austerity that matches nicely with the fruit. At Pichon Lalande, Glumineau continues with the replanting program he started upon his arrival, changing from a vine-by-vine replanting to entire blocks at once. The result is only 185 to 220 acres are in production now. "And also we have some very young vines and some very old," says Glumineau. "We are in the bottom of that trough of production level. As the replanting nears its end, production will come back quickly. We have one or two more years of pulling out [5 to 7 acres] per year to go. And then we are back on track. After that, we will have a vineyard with better vine material, better drainage and so on. We know more now. It's not necessarily technology. Technology helps, but the key is we know more about the vineyard and how it works." "And because we know more, I can say to my team, 'OK, let's work in the vineyard as if everything were going to grand vin.' We are profitable enough that we should always be aiming for quality. We don't want leftovers for the second wine. We want another expression of the vineyard. It has to be very good, period. That's how I want us working." The 2017 Pichon Lalande Réserve de la Comtesse (second wine) is tightly coiled, with a tarry frame around cassis and blackberry compote flavors. There's good brambly energy through the finish, with bright acidity, and this should be a fairly structured second wine. The 2017 Pichon Lalande grand vin is a beauty in the making, with layers of dark fig, currant and blackberry fruit that are lush in feel, backed by a serious graphite spine that adds an authoritative feel through the finish. Lovely black tea, sweet tobacco and tar nuances fill in throughout. There's serious range and drive here.